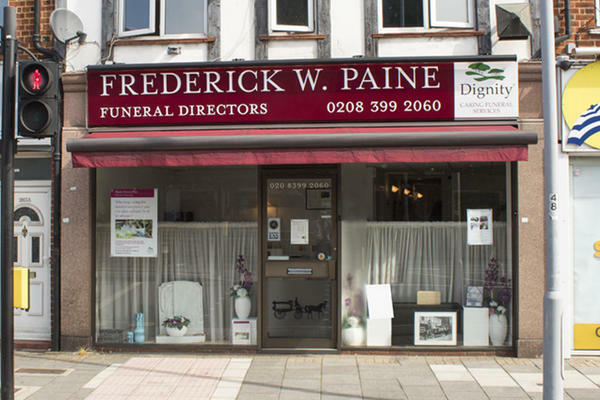 We are Frederick W Paine Funeral Directors in Surbiton. We are dedicated to helping families in our cherished local community by providing an uncompromising quality of care. Our funeral home has been a conducting funerals since the 1930s, and we continue to provide kindness, respect and compassion to every family that we support to this day. Whenever you need our assistance, we will be here to help you, doing everything we can to make things a little bit easier for you and your family. We are here to advise and guide you during a difficult time, and we want you to know that you can always get in touch with us by telephone, 24 hours a day. Call us today on 020 8399 2060 to talk through your personal requirements. There is free parking on surrounding streets such as Beaconsfield Road. We are on the corner of Beaconsfield Road, opposite the Co-op. Our staff are available 24 hours a day on 020 8399 2060 if you require our services outside of these hours.